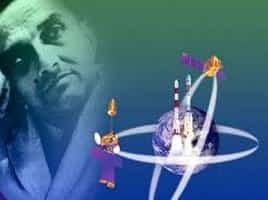 The Vikram Sarabhai Space centre in Thiruvanathapuram, Kerala in addition to the usual display of rockets and hot air balloons to celebrate World Space Week, will also hold an essay competition exclusively for high school students across the country. World Space week which will be celebrated this year from October 4-10 will see a colorful display of Astronautic strength at the Vikram Sarabhai Space Centre (VSSC). This year, the space centre will organize an essay competition exclusively for high school students. The title for the competition is ' Space- Guiding your way '. The essays which are to be submitted to the VSSC should be handwritten and can be in Malayalam, Hindi or English. The essay must not exceed 2000 words. The Essay, accompanied by a certificate from the Principal/ Head of the institution must reach the World Space Wing of the Vikram Sarabhai Space Centre on or before the 26th of September. The envelope containing the essay must be super scribed ' WSW 2014 - Essay Competition'. The winner of the essay will receive the highly coveted GSLV gold medal. Other events include a quiz for students from class 9 to 12 on October 4th. This competition is for students of Kerala and students are expected to send applications on or before the 24th of September to wswquiz@vssc.gov.in. Application along with a certificate from the principal can also be sent through post. Each quiz team should contain two members. Only one team can represent a school. A painting competition will also be organised and will be held on 28th of September for the students of Kerala. The VSSC space museum will be thrown open to students who produce a valid Identification card from the 7th to 10th of October. Free entry passes will be issued at the Canal Gate of VSSC upon arrival.